Blade Nano QX: Basic Overview and set-up. Can the Blade Nano QX take a beating? Cause: it's a mystery since it was still working two days after I stepped on it but, would not be surprised that was the cause. Good thing I know how to solder wires to a circuit board. All I can say is that if it wasn't for my clumsiness none of these items would not have been damaged only in the first week of owning it. So when others say these little copters can take a beating I do agree, since it still flies like new. Looking to attach this to my Blade Nano QX, I've seen footage of peeps using this on a Hubsan x4 and it flew pretty well. So I'm assuming that this shouldn't be a problem on the Nano QX. The Quadcopter's that were reviewed displayed the top performing models that could help you a family member or friend select the Best Quadcopter for your specific requirements. It's suggested that the DJI Phantom was the winner and if your into Aerial Photography that the DJI Phantom 2 Vision+ would be a great choice. Both Quads offer Advanced Flying Experience, Video Recording & Facilities To Mount GoPro Cameras. 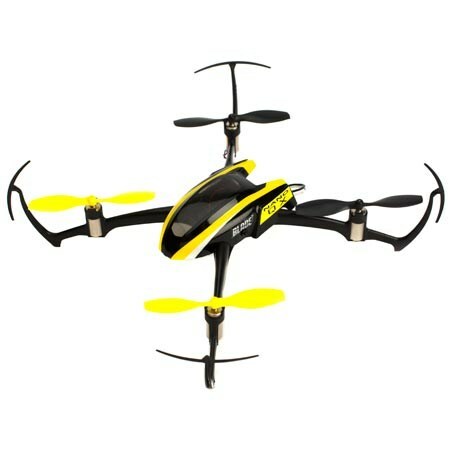 You may consider buying the “Hubsan X4 H107C” if you are looking for a quadcopter for beginners. :: My thoughts are that they left out a few especially two worth noting and that's the "Blade Nano QX" which is a micro quad that could be flown indoors and outdoors. Also, the "Blade 350QX3" which can give the DJI Phantom a nice challenge which is strictly made for outdoor use only.